Subtitles files can be created by text editors, or more specialised software like Jubler, GnomeSubtitle, Gaupol and SubtitleEditor. 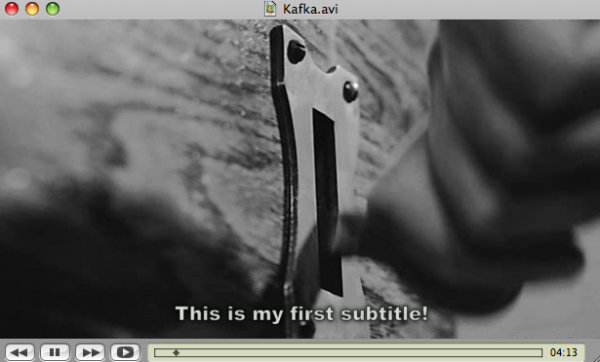 Lets look into a specific example of a subtitle file, and open it in a text editor (eg Text Edit on MacOS, Notepad on Windows or GEdit on GNU/Linux) and modify the subtitles to see it change in video playback. Now, lets return to our text editor, and make some changes to the file to show how easy it is to create and/or modify subtitles. Lets change this text to 'This is my first subtitle!' just as an example. Here is the modified, and saved, subtitle file. The above shows how easy it is to manually edit subtitles within a simple text editor. 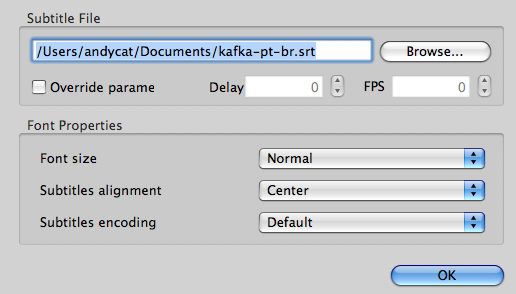 We have not show any time code modifications, nor have gone into file format specifics. You should know the details of the file format you are manually editing if you want to go further into hand crafting subtitle files. To go further with subtitle production, we need to start to investigate specific subtitle editing software.